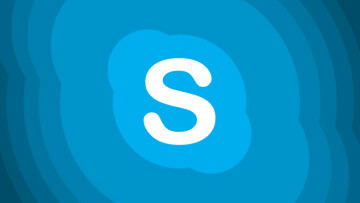 Skype is getting Cortana and chatbots to provide the "conversations of the future"
Microsoft’s recent experiment with an A.I.-powered bot called Tay didn’t go very well, but that failure is simply a valuable lesson for the future, and it doesn't mean the company is giving up on bot development. At today’s BUILD conference in San Francisco, Microsoft announced the Bot Framework – a platform for building bots - and is even bringing bots to Skype. 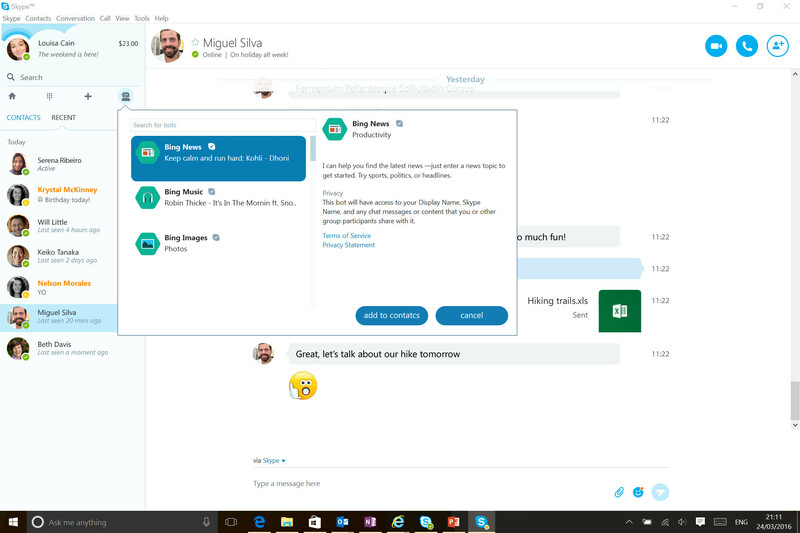 Microsoft’s showcase at BUILD 2016 revealed how Skype will integrate with Cortana so you can achieve more right from your conversations. Cortana will actively search for relevant bits of information and will be able to pull more details from Bing, help you manage your calendar, connect with people you know by suggesting that you write to them - or even do that on your behalf - and more. 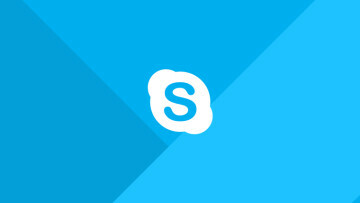 Skype as we know it is going through more than just an app convergence, and today marks the release of a number of previews that offer a first look at the future of the platform. 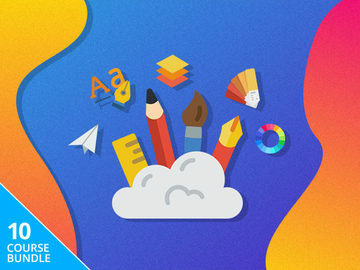 The first is the introduction of a new Skype client for Windows (desktop), Android, iPhone, and iPad - which comes with a preview of ‘Skype Bots’. 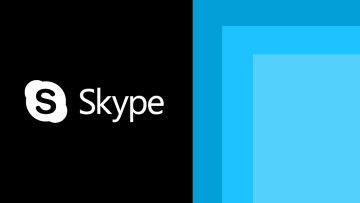 To access the new 'Skype Bots', you need to select the ‘bot directory’ from the Skype toolbar in the Windows desktop client, select the floating action button in the contacts page on the Android client, or search from the contacts page on the iOS client. 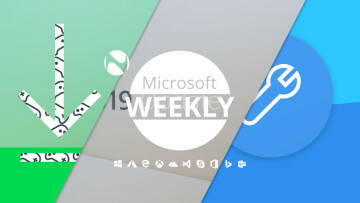 While Cortana is currently the flagship ‘Skype Bot’, the preview will allow you to try other bots, such as the ‘Skype Video Bot’, which is meant to offer new ways for both kids and adults to interact with favorite book, movie, or game characters, as well as a chance for brands to provide virtual environments where customers can chat with a bot to get a better idea of a certain product. Another preview that is rolling out today is a new program for developers, so you can start building your own bots. You can access various resources via the Skype Bots Portal, such as the Skype Bots Platform SDK, API, and Workflows.